The Edwards just received the most heartbreaking news. So for a final getaway as a whole family, they come back to their old lake house for the summer. 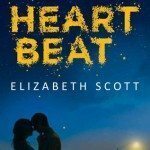 After five years of running away from the lake house, and the town and the people she’d hurt there, Taylor is up for a summer of second chances. I’ve read Morgan Matson’s Amy & Roger’s Epic Detour, which I really loved, but I found myself even more impressed by her with this book. The book was expertly written; every scene had the perfect timing. The story dwells in the present, narrated by the main character, Taylor. There were several flashbacks, which I think we’re well-placed within the book. Taylor is quite average. She’s the middle child and between her intelligent brother and her talented sister, she sees herself as bleak. Besides being dull though, she also has this terrible flaw of fleeing when she’s scared. She’s imperfect, as is everyone, and because of this, she doesn’t seem fictitious at all. 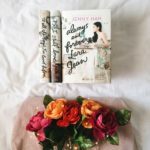 She’s a realistic character, and you’ll surely be able to relate to her and enjoy reading her with ease. The book perfectly balanced friends, family and romance. I liked how Taylor reconciled with Lucy. I like how they easily fell back in to place, like they never stopped being friends. I like how Lucy was able to tell Taylor’s emotions without having Taylor say it. I also like how Taylor keeps bringing up Elliott with Lucy. Not only was she considering that this nice guy would be good for her bestie, she also did it because she wanted to help out Elliott. Henry, Taylor’s first boyfriend (they were together when they were twelve), naturally, was her romantic interest in the story. Henry and Taylor have a cold start at first, Henrmad at her because of something that happened in the past. It was obvious from the start though that they’d pretty much reconcile about it. I like how it took time though, how there were very little moments, not even very long conversations. Still, the romance between these two were beyond sweet. Family. This, I think, is the most important aspect of the book. Taylor’s family got along most of the time, but they weren’t that closely knit. I love how we can see the progress of the family, how they bonded over the summer. Before, the Edwards siblings rarely spoke to each other (except for Warren’s constant babbling of course) but through the summer, you see that they’ve developed a better relationship. Taylor who was always annoyed by Warren’s rambling about facts (pretty much everyone in the family hated Warren’s rambling) helped his brother get the girl he liked. Taylor also helped Gelsey, her bratty little sister, find a friend. And of course her relationship with her parents grew too. Taylor had several fights with her mom, but both of them backed down and said sorry when it was needed. From the rest of the family though, it was Taylor’s interaction with her dad that was an arrow to the heart. Taylor was always her daddy’s “kid”. But she never really knew much about him, about his life, until that summer. It was just sad, how their time together wasn’t enough. I’m glad though that Taylor finally found the perfect moment to tell her dad she loved him. 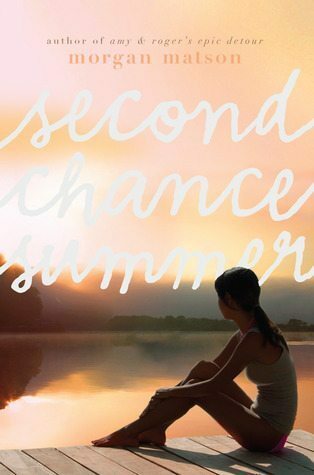 I’ve read a lot of summer stories and I’ve read The Last Song, and although Second Chance Summer had the elements from those books I’ve mentioned, the story felt different and not at all worn out. 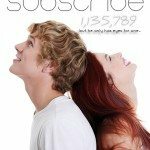 All in all, Second Chance Summer was really a great read. I definitely recommend it. You picked an excellent time to read this! This book undoubtedly fell into my to-read shelf since finishing Amy and Roger’s Epic Detour. 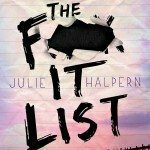 I really loved it and I am dying to read this one as well! This book undoubtedly fell into my to-read shelf since finishing Amy and Roger’s Epic Detour. 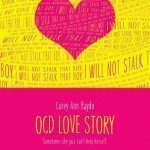 I really loved it and I am aching to read this one as well! 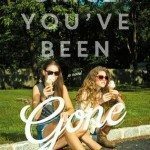 I read this book like a month ago, I thought it was going to be the typical summer story, but I was impressed about how much I liked this book and how it had a real story you can follow and identify with.